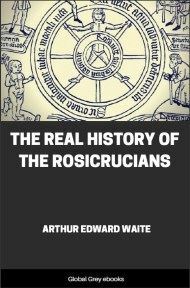 This is Arthur Edward Waite's study of the elusive Rosicrucians, a secret society of which the first public notice was in early 17th century Germany. Waite presents complete translations of all of the texts which defined the Rosicrucians, including the Fama Fraternitatis, the Confessio Fraternitatis, and the Chemical Wedding of Christian Rosencreutz. 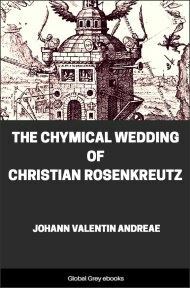 The longest text, the Chemical Wedding is a fever-dream which is a thinly veiled alchemical allegory. 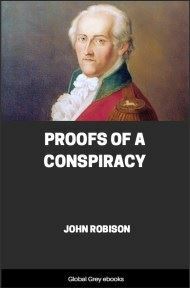 The Real History stands in stark contrast to Hargrave Jennings' The Rosicrucians, their Rites and Mysteries, which Waite (justifiably) criticizes throughout. The very title of this book might be considered a riposte to Jennings. The Rosicrucians are described as celibate, which contradicts Jennings' focus on the role of phallicism in the Rosicrucian mysteries. THE traditions of the Neo-Platonic philosophy, with its elaborate theurgical system, were to some extent perpetuated through the whole period of the Middle Ages, for beside the orthodox theology of the great Latin Church, and amidst the clamour of scholastic philosophy, we find the secret theosophy of the magician, the Kabbalist, and the alchemical adept borrowing, directly or indirectly, from this prolific fountain of exalted mysticism. The traces of its influence are discoverable in Augustine, in Albertus Magnus, in St Thomas, the angel of the schools, and in other shining lights of western Christendom, while the metaphysical principles of Johannes Scotus Erigena, even so early as the close of the ninth century, were an actual revival of this philosophy. He translated the extraordinary works of Pseudo-Dionysius on the celestial hierarchies, the divine names, &c., which were an application of Platonism to Christianity, "and proved a rich mine to the mystics." 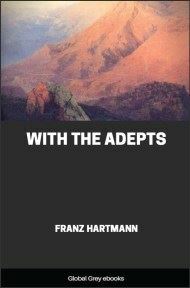 This translation was largely circulated and held in the highest repute, more especially in Germany, where the Areopagite was appealed to as an authority by Eckhart at the beginning of the fourteenth century. At this time Germany was a stronghold of mysticism, which, according to Ueberweg, was at first chiefly developed in sermons by monks of the Dominican Order; its aim was to advance Christianity by edifying speculation, and to render it comprehensible by the transcendent use of the reason. "The author and perfecter of this entire development was Master Eckhart," who taught that the creature apart from the Absolute, that is, from God, was nothing, that "time, space, and the plurality which depends on them," are also nothing in themselves, and that "the duty of man as a moral being is to rise beyond this nothingness of the creature, and by direct intuition to place himself in immediate union with the Absolute." Eckhart was followed by Tauler, a great light of German mysticism, and one profoundly versed in the mysteries of the spiritual and interior life. A century later, with the revival of Platonism, came the Cardinal Nicolas Cusanus, "a man of rare sagacity, and an able mathematician, who arranged and republished the Pythagorean ideas, to which he was much inclined, in a very original manner, by the aid of his mathematical knowledge." This representative of the mysticism of Eckhart provided Giordano Bruno with the fundamental principles of his sublime and poetical conceptions. Bruno "renewed the theory of numbers, and gave a detailed explanation of the decadal system. With him, God is the great unity which is developed in the world and in humanity, as unity is developed in the indefinite series of numbers." The death of Giordano Bruno in the year 1600 brings us to a period of palmary importance and interest in the history of religion, science, and philosophy. The revival of learning had for some two centuries been illuminating and enlarging the intellectual horizon of Europe; the Reformation was slowly removing in several countries those checks which had hindered freedom of inquiry on most speculative subjects; that which had been practised in the privacy of the study might be displayed almost on the house top, that which had been whispered at the Sabbath of the Sorcerers could be canvassed with impunity in the market place. The spirit of the age which had dethroned the crucifix, burnt candles before the busts of Plato and Plotinus. The revolution in theology was followed by a general revolt against the old philosophical authorities, the seeds of which revolt must be looked for at the time when Aristotle and the Peripatetic successors were enthroned upon the ashes of the scholiasts, who pretending to follow Aristotle, had. perverted and disfigured his doctrines. As the birthplace of the Reformation, Germany enjoyed a greater share of intellectual unrestraint than any other country of Europe, and it was a chaos of conflicting opinions on all debateable topics. The old lines were loosened, the old tests failing, the chain of tradition was breaking at every point, a spirit of restless feverish inquiry was abroad, and daily new facts were exploding old methods. Copernicus had revolutionised astronomy by his discovery of the true solar system, Galileo already had invented the thermometer, and was on the threshold of a glorious future; a century previously Columbus had opened the still illimitable vistas of the western world; great minds were appearing in every country; amidst a thousand blunders, the independent study of the Bible was pursued with delight and enthusiasm, and in every city the hearts of an emancipated people were glowing with hope and expectation at the promise of the future. Now, in an age of progress, of doubt, and of great intellectual activity, it is singular to remark the almost invariable prevalence of mysticism in one or other of its manifold phases, and the close of the sixteenth century beheld spreading over the whole of Germany and passing thence into Denmark, France, England, and Italy, a mighty school of mysticism in the great multitude of magicians, alchemists, &c., who directly or indirectly were followers of the renowned Paracelsus. The sublime drunkard of Hohenheim, the contemporary of Agrippa, but grander in his aspirations, vaster in his capacities, and, if possible, still more unfortunate than the brilliant pupil of Trithemius, was the intellectual product of the great school of Kabbalism represented by Reuchlin and Picus de Mirandola. He united to his theoretical knowledge of theosophical mysteries an unrivalled practical acquaintance with every form of magic, and was as much an innovator in occult science as a reformer in medicine. For all orthodox alchemists, magicians, and professors of hidden knowledge, Paracelsus is a grand hierophant second only to the traditional Hermes. 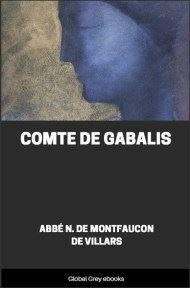 His brief and turbulent career closed tragically in the year 1541, but the works which he left secured him a vast posthumous audience, and the audacity of his speculations were undoubtedly instrumental in the emancipation of the German mind from the influence of traditional authority.